New Delhi, 15th Nov. 2011 - The sugar industry in general and mills in Uttar Pradesh in particular, are highly concerned on the recent announcement of U.P. Government fixing the State Advised Price(SAP) for 2011-12 sugar season at Rs.250 per quintal for early varieties, Rs.240 for normal varieties and Rs.235 per quintal for rejected varieties. The industry is shocked on this announcement because not only does it not know from where they would be able to generate funds to pay this kind of price to the farmers, but also because the increase in the rate has been unprecedented a second year in continuation. Speaking on the occasion, Mr. Abinash Verma, Director General, ISMA said, “From Rs.165 per quintal of SAP in 2009-10, the UP Government had increased the SAP to Rs.205 in 2010-11 i.e. by Rs.40 per quintal. Again, the increase from 2010-11 to 2011-12, is by another Rs.35-40 per quintal, which works out to Rs.75-85 per quintal over the SAP two years back. In other words, the increase in 2 years is by 46%.During 2011-12 sugar season, sugar mills of U.P are likely to crush about 70 crore quintals of sugarcane. The increase of Rs.35-40 per quintal in SAP, translates into a higher payment liability of about Rs.2500 crore in 2011-12 sugar season over 2010-11. On a comparison with the Fair & Remunerative Price (FRP) of cane fixed by the Central Government for the year 2011-12 sugar season, the SAP fixed by U.P is clearly seen to be totally unjustified. It is almost Rs.100 per quintal higher than the FRP of Rs.145 for the current sugar season. The increase in FRP in the two years from 2009-10 to 2011-12, when the UP SAP went up by 46%, is by Rs.15.2 per quintal only, i.e. an increase of just about 12%. Though cost of raw material i.e. SAP of sugarcane, is increasing year by year in leaps and bounds, the price of the final product i.e. sugar is not allowed to increase similarly. Taking into consideration the average minimum cane price of Rs.245 per quintal in U.P, the average cost of production of sugar in U.P works out to Rs.34 per kilo. In order to sustain cane price payment of Rs.240 per quintal, ex-mill price will therefore need to improve to Rs.34 per kilo.This would mean that the consumers would have to pay around Rs.37 per kilo of sugar in this season, at least in North India, if the farmers have to be paid on time to check any build-up of cane price arrears. However, the present ex-mill price in U.P is around Rs.29 per kilo. If this price does not improve or the Government keeps the prices down artificially through its powers to release monthly sugar quota that each mill is required to sell every month, it is feared that cane price arrears may build up sooner than expected. The mills in U.P are estimated to produce 66 lakh tons of sugar in the current year. At an estimated under-recovery of Rs.4-5 per kilo,the sugar industry in UP could lose almost Rs.3000 crore in one sugar season alone. The mills have incurred substantial losses in the previous season which ended in Sept 2011 and most certainly do not have the financial strength to survive another loss year and that too by such a huge margin. The mills in Uttar Pradesh may simply get wiped off if they have to bear such a huge burden. The sugar industry in UP is the second largest industry in the country, who contribute about 25-30% of country`s sugar production and pay about Rs.16000 crore to cane farmers every year. It is therefore, important to bail out the industry, for which steps are required to be taken immediately, by both the Central and State Government. The Central Government fixes the FRP under the Sugarcane (Control) Order, 1966. Though the Central Government, on the recommendation of CACP, and after considering cost of production of cane and profit to farmers as also accounting for the risks involved to farmers, fixes the FRP for sugarcane, 5 States fix another State Advised Price (SAP) of cane for mills in their State, which is usually substantially higher. SAP then becomes the minimum price for sugarcane that mills in that State are obligated to pay to farmers, thereby demolishing the FRP fixed by the Central Government. Unfortunately, SAP is not based on any transparent, laid down economic criteria like the FRP. It has no linkage or relationship with sugar price realization of mills. Unreasonably high SAPs, without any linkage with either cost of production of cane or sugar price realisation to mills, causes havoc by putting the finances of mills under tremendous stress, thereby adversely affecting capacity of mills to pay adequate and timely payment to farmers. In years of surplus sugarcane, when sugar prices fall, mills are unable to pay cane price on time to farmers. Cane price arrears mount, especially from the latter part of the crushing season, and farmers shift out of sugarcane to other competing crops. Shortage of sugarcane thus, in following seasons, results in shortage of sugar forcing sugar imports at high prices. The consumers pay high price, which benefits the farmers of another country, at the cost of Indian farmers and Indian consumers. The anticipated loss of Rs.3000 crore would put more burden on sugar mills and it will lead to mounting of cane price arrears or defaults in bank loan payments or both, which in turn, will result into reduction in cultivation of sugarcane and shortage of sugar in the next sugar season. It is therefore, very urgently required that the respective Governments take immediate initiatives to take control of the situation, which may get worse with mounting losses, build up of cane price arrears, diversion of area away from sugarcane and consequent sugar imports in following years. (i)	Advise State Governments that since FRP is fixed after considering the cost of production of cane and including profit and covering the risk of farmers, they should refrain from fixing another price like SAP. (ii)	Ex-mill prices should be allowed to improve to at least Rs.34 per kilo. The Central Government should not push down the same by releasing high non-levy sugar quota etc. (iii)	Obligation of supply of 10% of production as levy sugar at a subsidized price should be removed as it causes losses of about Rs. 2000 crore to sugar mills in general and Rs.500-600 crore to UP mills specifically. (iv)	Immediate announcement of permission for exports of 30-40 million tons from November, 2011, as mills need more cash flow during peak period of crushing i.e. mid-November to mid-April. (v)	Approval of final procurement price of ethanol as recommended by Dr. Saumitra Chaudhuri Committee in April, 2011. The oldest industrial association in the country was established in 1932 when tariff protection was granted to the industry. It is recognized by the Central and State Governments as the Central Apex Organization to voice the cause of the sugar industry. Sugar mills in the private sector as well as the public sector are eligible to become members of ISMA. Its total strength of membership as on stands at 232 and accounts for about half of country`s total sugar production. ISMA`s history is synonymous to the growth of the sugar industry in India which also began in early 1930s. It is an Apex organization and maintains close contacts with all regions in India through a network of regional associations and with international organizations and associations through international bodies. ISMA is the interface between the industry and Government on matters relating to sugar policy, statistics on production, sales, exports/ imports, prices etc. ISMA maintains database for the sugar industry which is shared with all the member factories, media and also various Government organizations. The Association publishes a monthly journal, “Indian Sugar” as well as yearly publications called “Indian Sugar Year Book”. 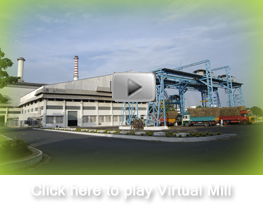 List of sugar mills in India, Bangladesh, Pakistan, Nepal and Sri Lanka giving all relevant information about each sugar factory is also published. A statistical handbook is also prepared every year on production, prices, sales, exports/imports etc. The office of the Association functions through its Executive Committee, Governing Council and various standing sub-committees on specific issues. Special cells have also been created to provide guidance and help to the members on important topics. ISMA`s R&D Cell on sugarcane has successfully identified promising sugarcane varieties in improving sugarcane productivity which received recognition from various research institutes and Government organizations etc. The results have been encouraging in the recent two years. ISMA is the member of several International Industry Associations including International Sugar Organization, World Sugar Research Organization, World Association of Beet and Cane Growers and Global Alliance for Sugar Trade Reforms and Liberalization. India is largest consumer of sugar and 2nd largest producer in the world.